Apple has recently released a security update to iPhones, iPods and iPads. 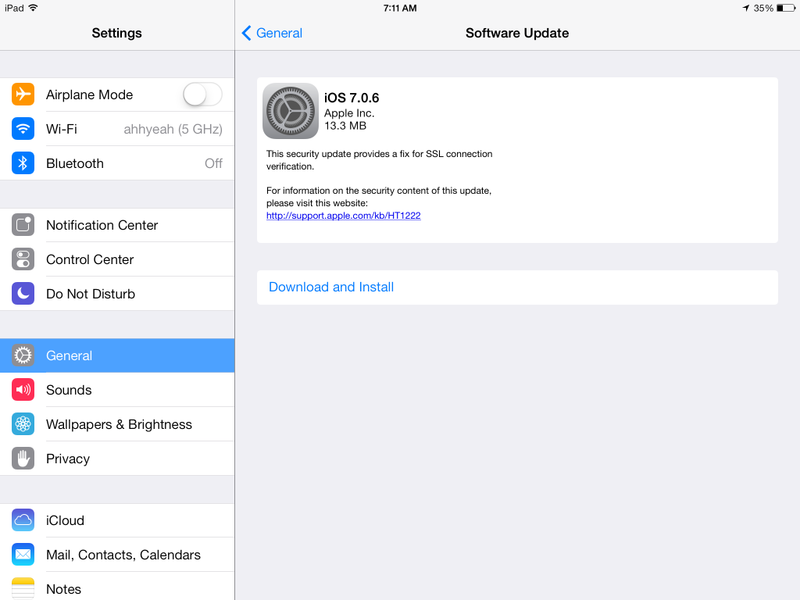 Running this update will remove Cydia and your jailbroken apps if you have them. If you really want to update but want to jailbreak again, there is a fix for evasi0n over at idownloadblog.com that you can download. It’s the same evasi0n tool that has been modified to work with 7.0.6. This is a trusted source. Apple has also released an update to the iPhone 3GS and the iPod 4th Gen via firmware 6.1.6.